STEP #1 Study the powerpoint below. STEP #2 Complete the line exercise worksheet below. Draw lines that represent each emotion. 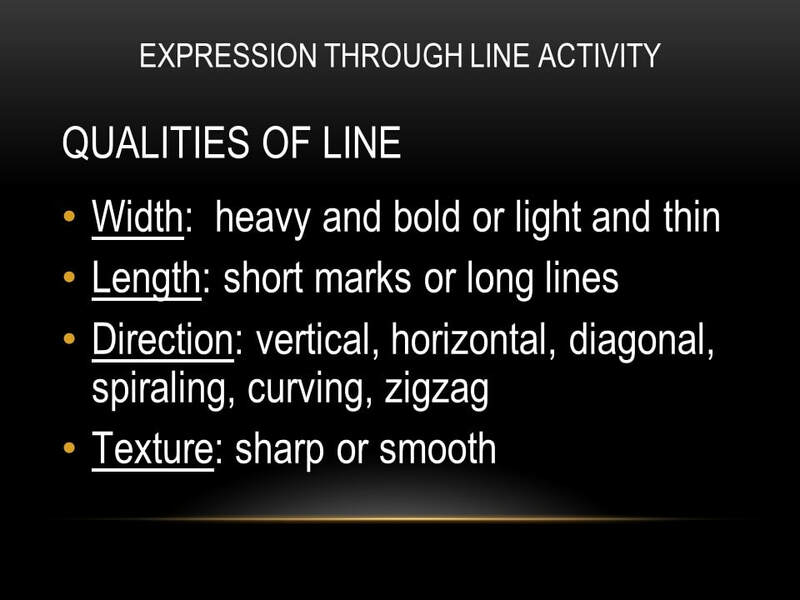 Example: Would a silly line be heavy and bold or light and thin? Would it be short or long? Would it be spiraling or horizontal? Would it be sharp or smooth? Combine all the qualities. For Example: a silly line would be thin, long, spiraling and smooth. So you would draw a thin, long, spiraling, smooth line.